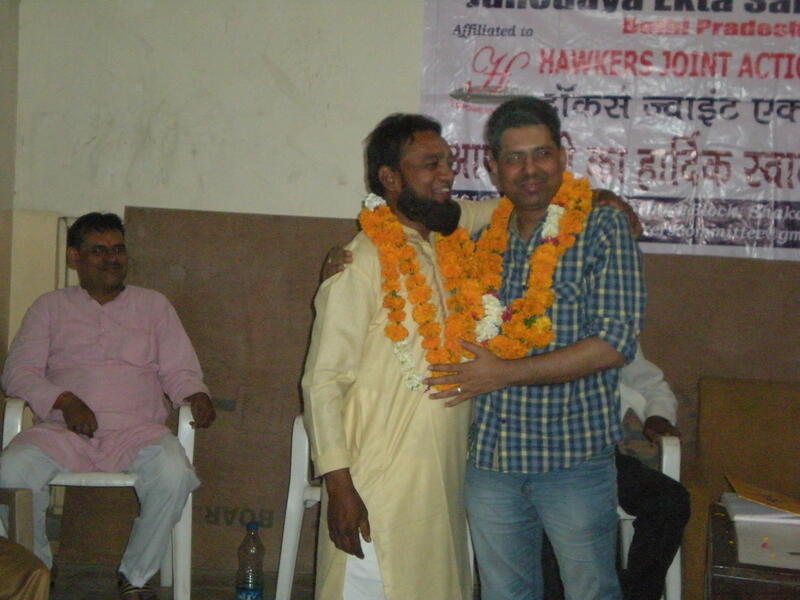 The Hawkers Joint Action Committee meeting held on 21st April, 2013 at the Sindhu Samaj Hall, Karolbagh unanimously decided to form fronts of Women and Minorities. Md. Sayed, Hawkers representative of Badarpur Market and resident of Daryaganj was elected as convenor of the Minority Front. Ms. Sushma, a member of the Zonal Vending Committee of North Delhi Municipal Corporation, Hawkers representative of Karolbagh and resident of Nawada, Dwarka was unanimously elected as Convenor of the Women Front of the Hawkers Joint Action Committee. More than 100 hawkers representatives who participated in the meeting discussed issues including of newly elected Hon’ble Mayors and Standing Committee Chairpersons in all the three municipal corporations of Delhi. 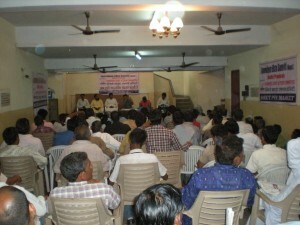 A detail discussion took place on the Food Safety and Standard Act and required interventions by Food vendors. Hawkers Joint action Committee also decided to actively participate in the forthcoming national convention on FDI in Retail.